Are you Rockin’ a Green Clean? Becoming a new parent often means becoming an obsessive label checker, especially for cleaning products. And unfortunately, a lot of our old standbys contain a laundry list of harmful chemicals. 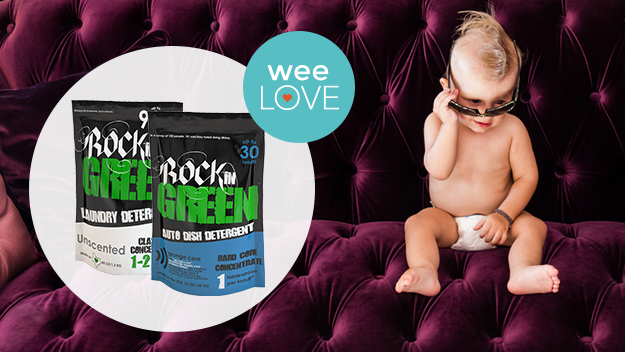 Rockin’ Green was developed by a mom who had enough of misleading, mislabeled “green” products. We’re huge fans of this eco-friendly line, especially the variety of laundry detergents designed for different water types. Made with a biodegradable, plant-based and petroleum-free surfactant, it’s gentle on sensitive skin, but extra tough on stains. Cloth diapers and mealtime messes have met their match. 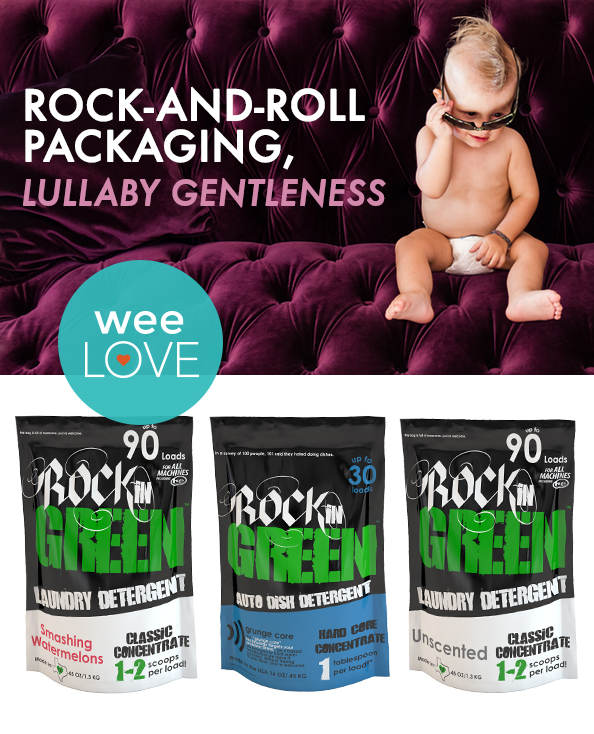 Here’s their label lowdown: Rockin’ Green contains no fillers, enzymes, optical brighteners, parabens or phthalates. It’s dye-free, 100% phosphate-free and vegan. This weeLove was sponsored by Rockin’Green. Want to get weeLove in your inbox? Sign up here! And if you have a suggestion for something we should cover, click here.